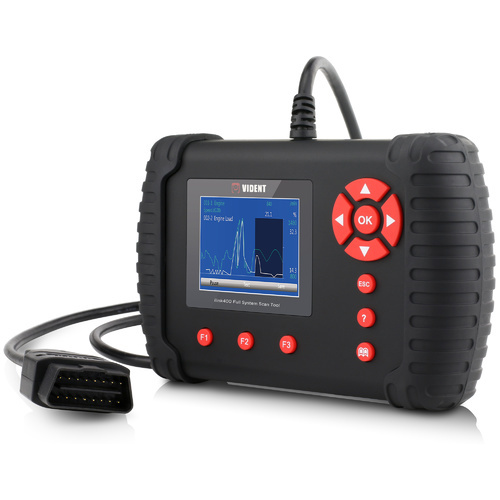 iLink400 is ideal for anyone who wants to diagnose 1 to 5 car makes professionally. 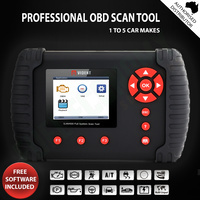 It is a powerful OBDI / OBDII scan tool delivering in-depth all systems diagnostics, actuation, adaptation and programming! 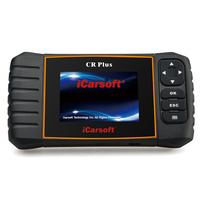 It is capable of diagnosing almost any trouble code from Engine, ABS, Airbag including many other chassis and body systems. 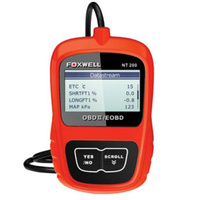 It also lets you access the most commonly required service functions such as Oil service and Mileage Interval Reset, EPB, SAS, Throttle Body Adjustment and many more. 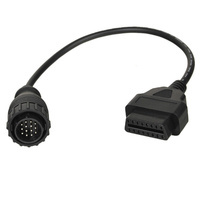 In addition, the scan tool is capable to perform advanced ECU coding and programming functions. Coverage: Covers 1 to 5 car makes. 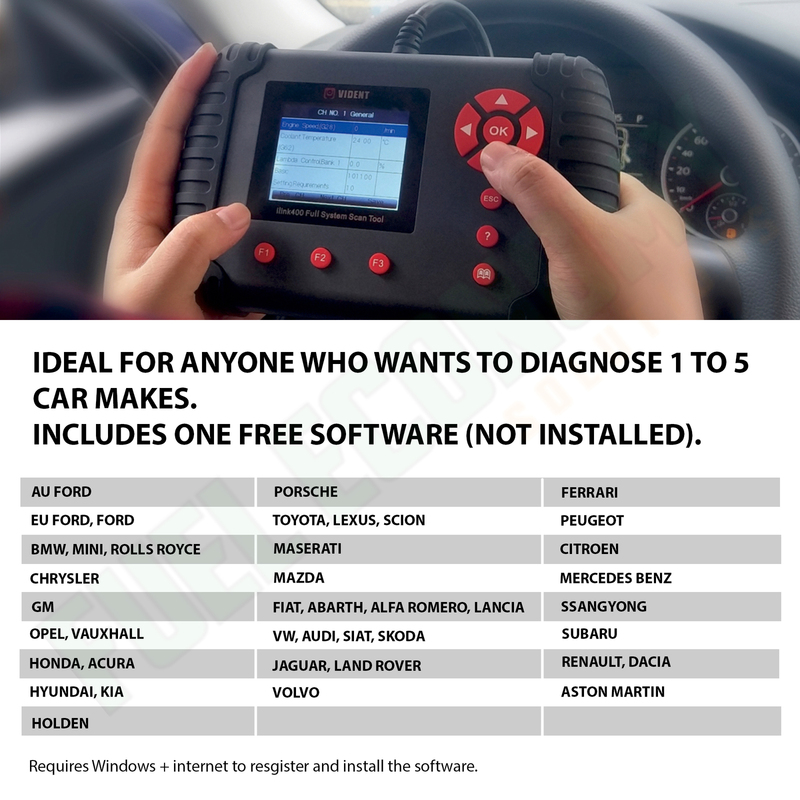 One free software is included. 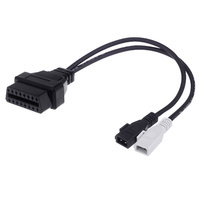 (Requires Windows + Internet to Install). 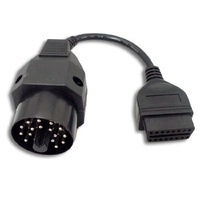 Also includes OBDII Engine code reader to diagnose all OBDII compatible cars for Engine trouble codes. 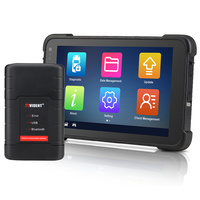 Compatibility: Works on both OBDI and OBDII cars, SUVs, minivans, light-duty trucks sold worldwide, including the latest 2017-2018 models on selected makes. 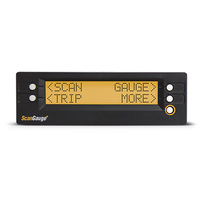 Diagnostics: Reads and clears diagnostic trouble codes from all systems (Car dependent). 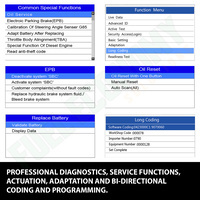 Service Functions: Supports all common service functions including Oil Service and mileage interval reset, EPB, Battery Configuration, SAS, DPF and More. (Car dependent). Bi-directional: Performs advanced bi-directional coding and programming on most components. 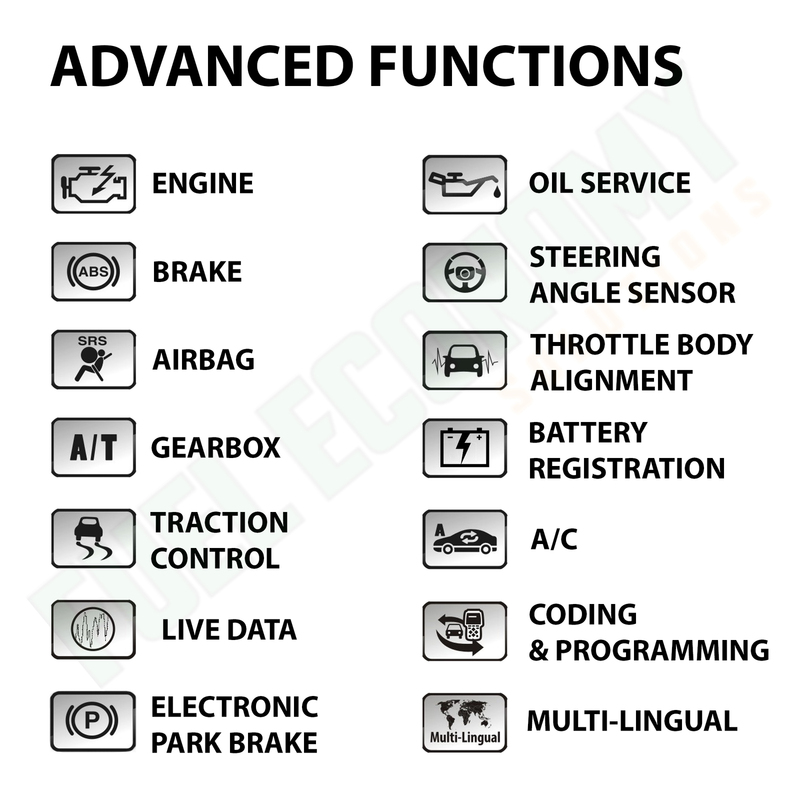 This can include key programming, injector coding, brake bleed etc. 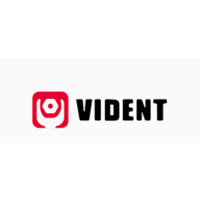 VIN Identification: Identifies the vehicle you are testing rapidly and accurately on the basis of its VIN number. 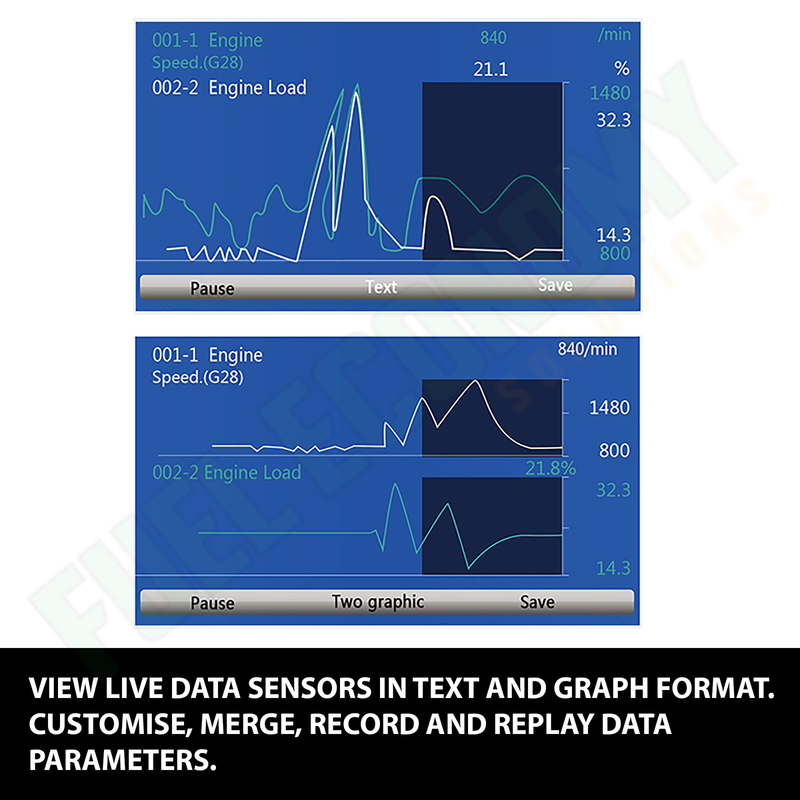 Live Data: Displays live sensor data in text or graph format. 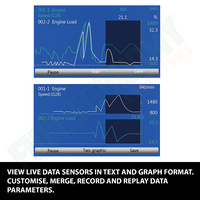 Merge, record and replay up to 2 parameter graphs simultaneously so you can easily see how they affect each other. 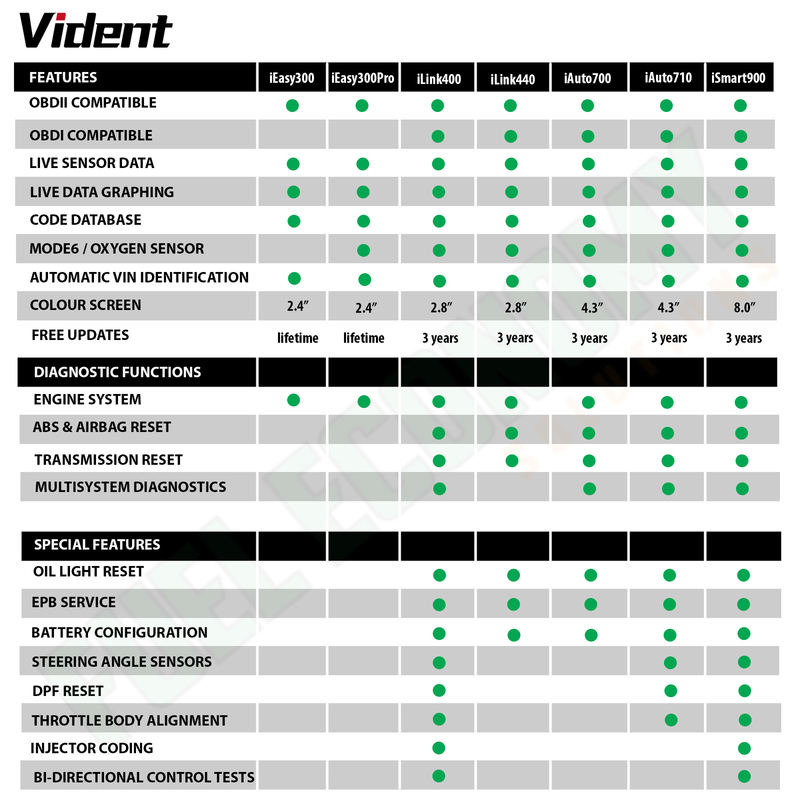 Health Check: Retrieves ECU information, displays freeze frame data, Oxygen Sensor test, component test and more. 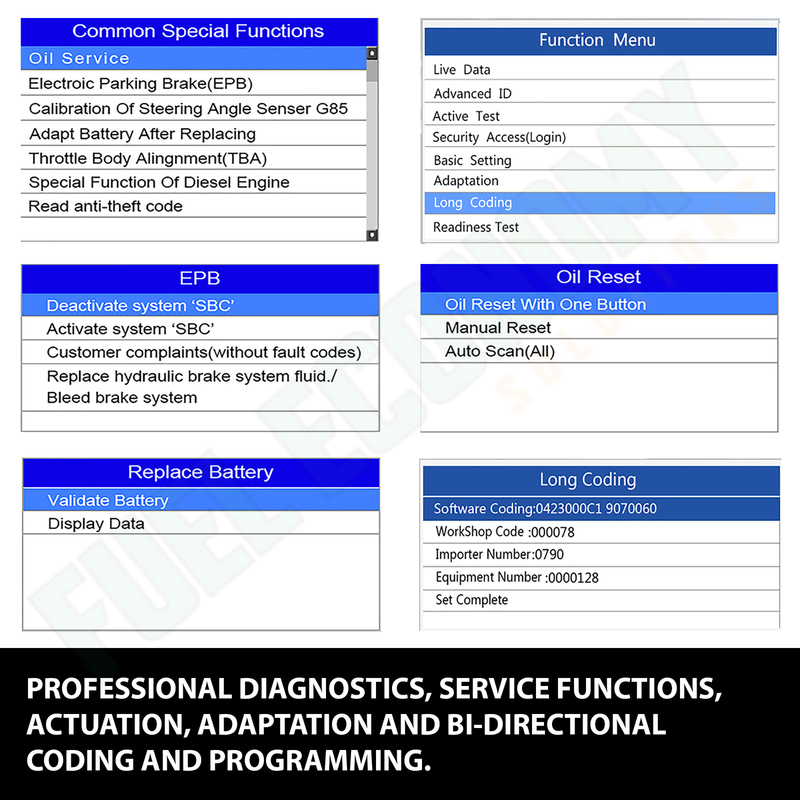 Print: Allows to print out diagnostic test data via PC suite. Multilingual: English, French, German, Polish, Russian, Spanish Portuguese, Dutch, Swedish and more. 3 Years Free Update: Internet updatable via USB. 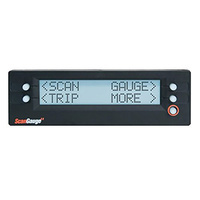 Easy to Use: 2.8"LCD colour display screen, clearly arranged keys and menu driven operation make this device extremely easy to use. 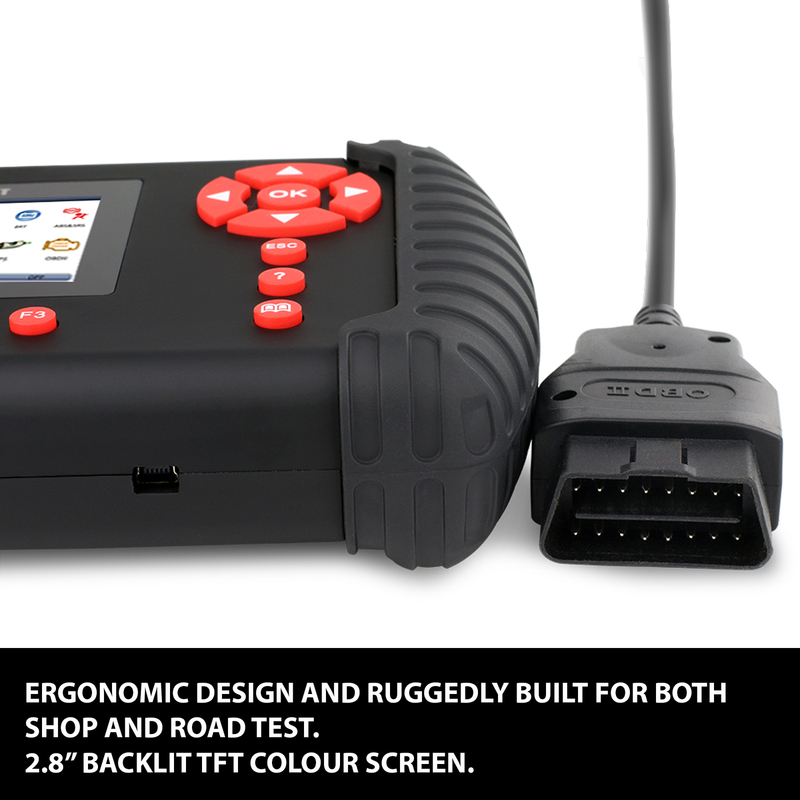 Hardware: Its ruggedized design and rubber sleeve resist impact and damage in the tough workshop environment. 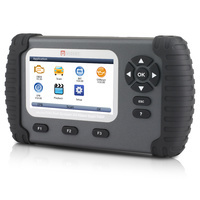 iLink400 comes with no software installed. You can select any of the car make software below to update on your scan tool. 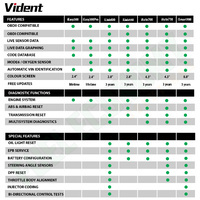 The first software is free of charge with your purchase. 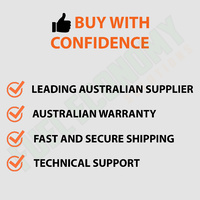 Any additional software costs AUD $90 each. 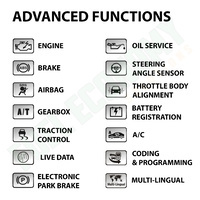 For all the makes covered and the functions lists for the functions available click HERE. 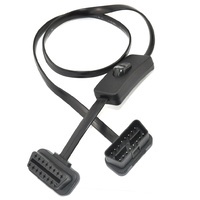 Did not work with my model vehicle- Mitsubishi , description on website not adequate. iLink400 doesn't work on Mitsubishis and it doesn't say so anywhere on its product page. 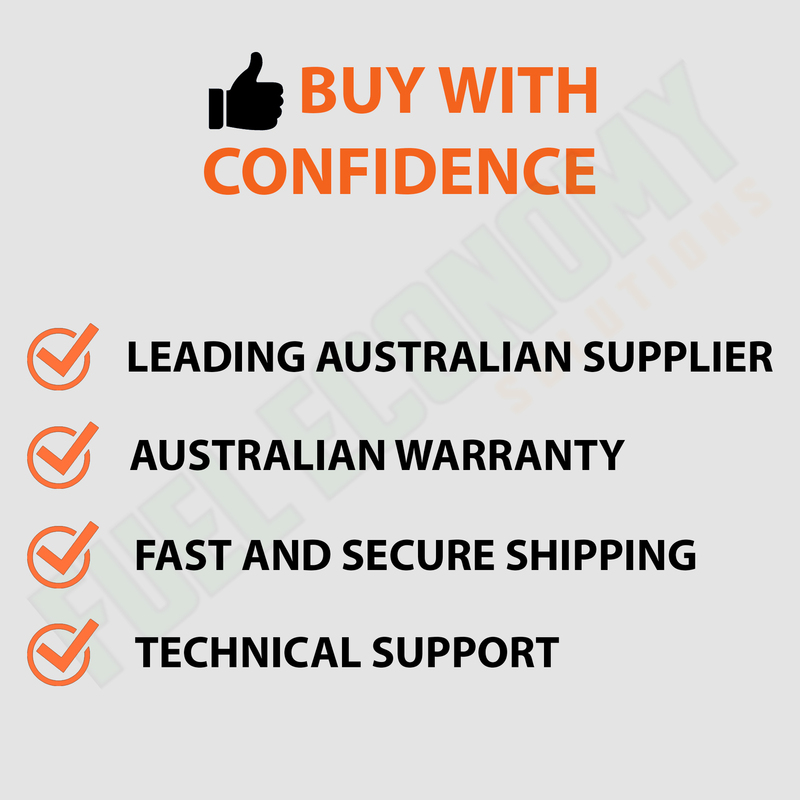 Please contact our support on support@fueleconomysolutions.com.au so we can organize the return for you and suggest the correct unit. Good company to deal with prompt service when had a question. 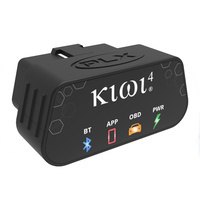 Well just used my I link 400 pro after my oil change to reset my computer delear wanted $200 for a basic oil change I done it for around $50. Excellent communication. 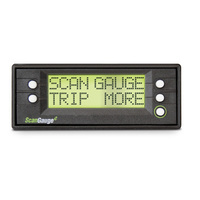 great tool and great to deal with. 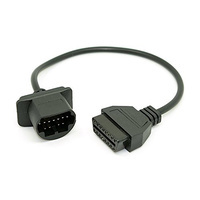 Better than my previous OBD2 tool for Subaru. Great scan tool for Subaru. 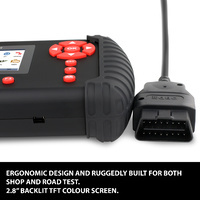 it is a top item and when i get to learn how to us it i am sure it will be very helpful in maintaining my vehicle. i would like to say Boris was very helpful in my purchase thank you.